Fabio Jakobsen (Quick-Step Floors) has taken the victory at the third stage of the Tour of Guangxi. The rider was the fastest at the bunch sprint. The 125.4-kilometre stage of the third day of racing in China was once more bound to finish in a bunch sprint. The escape group of the day was formed by four riders and included names like Owain Doull (Sky), Manuele Boaro (Bahrain Merida), Jasha Sutterlin (Movistar) and Nathan Van Hooydonck (BMC). This group was reeled back in with ten kilometres to go and the teams with sprinters prepared for the final kilometres. 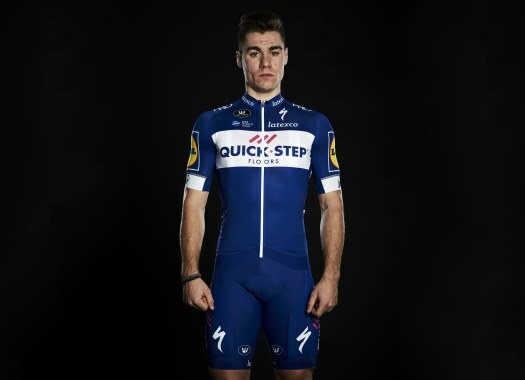 Quick-Step Floors did a good job for Jakobsen and the Dutchman finished it off by taking the 72nd victory of the year for the team. Bora-hansgrohe's Pascal Ackermann and Sunweb's Max Walscheid were in the second and third position of the stage. "It was again tense today, but it’s always like that in a mass sprint," Jakobsen commented. "The team put their faith in me and I trusted them. On the previous stages I made some mistakes, as I was a bit too nervous and eager, but today I remained calm and followed Martinelli, who did a great job. "I am very happy with this victory, my second in the World Tour, and I want to thank my teammates for all they’ve done for me." With this victory, Jakobsen also took the victory of the General Classification.